Hi dear readers - this has been one heck of a year... 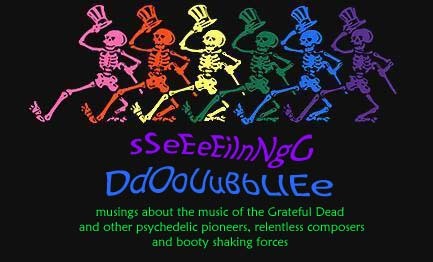 The Dead on Spring Tour brought me out of my funk and into a whole new groove... I'm inspired by these veterans who continue to innovate, improvise, re-work, and bring alive a catalogue of great music. We love you guys! 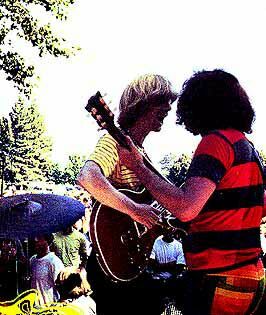 One of my favourite parts was seeing Mickey and Billy - they have really tightened things up and sound sharp! One of the unique things about this show is that they opened 2nd set with Drumz>Space. That's getting right down to business... wasting no time before blasting off into a great set of psychedelic adventuring - through compositions mainly from the Anthem of the Sun period. Mickey's thunderous drumming on the double-skinned koto-ish drums the night before at Nassau was a cathartic experience for all in attendance. Mind-blowing for sure. This is my favourite of the Blakesburg shots - the Rhythm Devils hamming it up before the show. I love Billy's planetary afro. And here's the man of the hour: Mr. Phil Lesh. Not only does he hold down the low end, but he holds the vision - his archival sense and perspective on this great catalogue of music which we call the Dead made this ambitious retrospective tour happen. He was not just dusting off old relics, he's been oiling and winding them and keeping them tuned for years in his own projects, taking responsibility for their survival. And we have been privileged to hear them anew in a fun, successful ensemble. Thank you, Phil! You are a trooper. A psychedelic music pioneer - we can't thank you enough. Keep initiating, keep singing, and keep smiling. MSG. Nous étions assis où est la dame avec le chandail jaune vers 17 hres 30. Excellent début, je te suis.